I absolutely love ethnic food. Latin American, Japanese, Ethiopian, Thai, Cameroonian, etc. These cuisines all have exotic and distinct flavors, ties to cultural and social norms, as well as vibrant history of healing and fueling their people. Oftentimes, when shopping or eating out, I find that ethnic food is also the most clean, unprocessed and health supportive. Unfortunately, many ethnic markets, restaurants, and homes have been polluted by American food standards and western dietary influence. Japanese food in the States is a faint resemblance to the wholesome meals of Okinawa. A trip to Buca di Beppo, aka “Italian food”, is a far cry from the pure wholefoods found in the hills of Tuscany. I am increasingly appalled as I venture into Asian, Latin, and Middle Eastern markets here in Los Angeles and find products laden with hydrogenated oil, high fructose corn syrup, MSG, and many other “food-like” substances. Sugar is added to everything from coconut milk to sauces. Wheat and corn derivatives are in all kinds of marinades, nothing is organic, everything is refined. In order to get “back to the beginning” of human eating we need to take a second look at these places and their historical culinary traditions so that we may shed light on where they began to fall away from their original design. I’ve found that the best way to get some really good, unadulterated ethnic meals is, 1. Go to the country of origin and find a family and let them cook for you– or– 2. Make it yourself. Since I’ve recently been dubbed “Chef Nikki”, I suppose option number 2 is certainly within my reach. Thus, the following recipe. It is a venture into fusion cooking (a venture I travel all too often). It combines the goodness of American comfort food with the celebration of flavors from Mexico. All the while, remaining Paleo compliant and friendly to all the gluten and lac-tarded people out there. 1 1/2 c. Almond and Ancho Mole sauce, reserve remaining sauce for finished loaf. 2. Mix all ingredients in a large bowl and press into a greased loaf pan. 3. Bake 30 mins and then cover. Bake an additional 30 mins or until middle is done. 4. Let it set/cool for 10-20 mins. Serve with remaining sauce. 1 . Preheat the oven to 350 degrees. 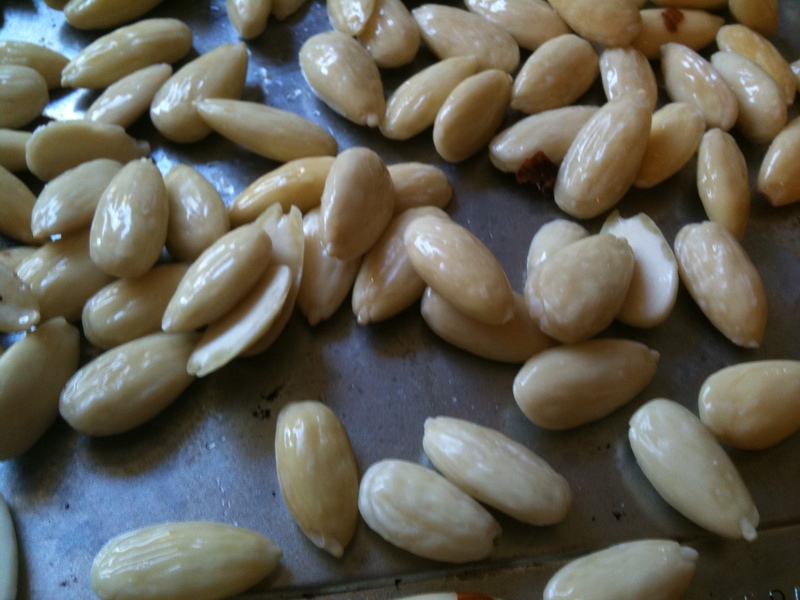 `Spread the almonds out on a dry baking sheet. Bake for 15-20 mins, stirring once or twice until almonds are light tan. 2. Heat a dry heavy bottom skillet or cast iron griddle and tear the ancho chilis into large pieces. Toast for 1-2 mins occassionally pressing down on them with a spatula. They should blister and begin to lighten in color. Be careful not to inhale the fumes. 3. 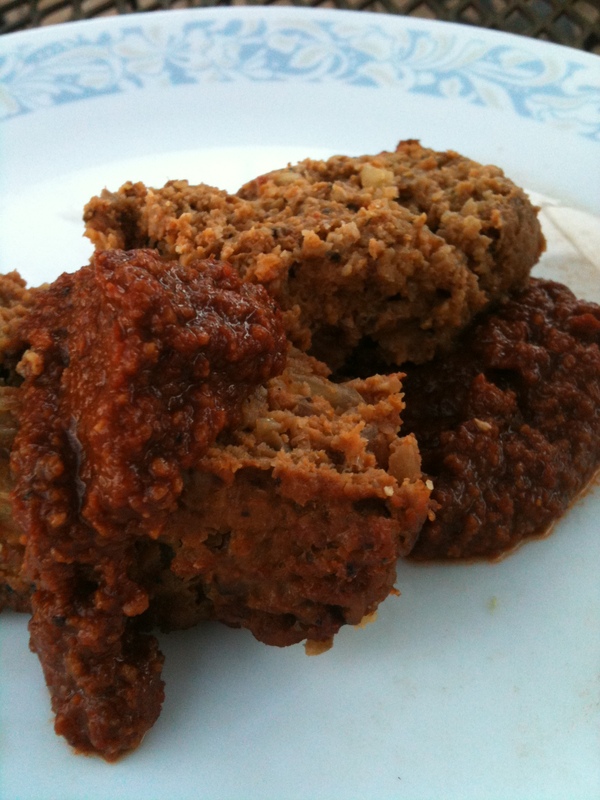 In a blender, puree chilis, almonds, stock, tomato, onion, raisins, garlic and salt. 4. Add ground spices into the blender and puree thoroughly. You may add some stock if its too thick to blend. 5. Add the cooking fat to a heated skillet and add the sauce, reduce until desired consistency. Use immediately or cool and refrigerate.